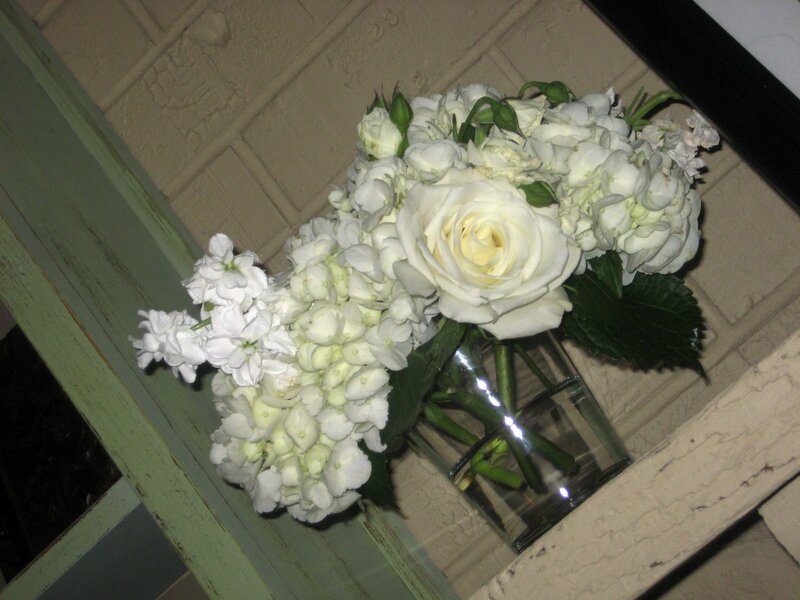 Thanks for the flowers Summer…I need fresh ones like these every week! Last night was the big blogger party at MRCC. It.was.a.blast!!!! Summer and Aubrie did a great job. Please go read Gena’s post from today. She wrote how I was feeling. It’s funny how my life would not feel complete without my blogging family! Not only was it fun to visit with lots of friends, and do a little shopping of course, but the food was great! I wish I’d taken a picture of the food table!! 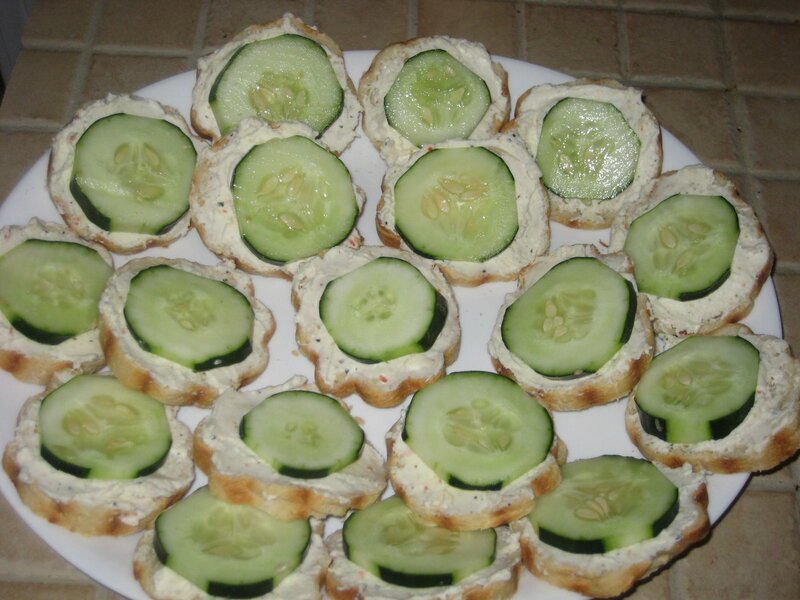 I made Cucumber Party Slices…. As I promised some of you, here’s the recipe! It’s SO simple, 5 ingredients. Mix the cream cheese, mayo and dressing mix together. Spread the mixture onto the bread slices, be generous!! I peel a few stripes off my cucumber for decoration. Slice the cucumber thinly and place on top on the bread slices. Serve fairly soon, they will hold up for a while, but they are best freshly made. Enjoy. Scrape the bowl with leftover cucumber slices… don’t waste any of the cream cheese mixture, please! Looks great! I’ll have to use that recipe! You know how much I loved the cucumbers! It was great to talk to you the other night! Thanks for posting the recipe! I’m going to make these all the time! They were super yummy! Thanks for the shout out too! I want to go to a blog party!!!! Someone invite me, pleasssseeeee…I promise I won’t whine.And, I’ll bring some yummy food… those cucumber things look delish. Those look Yummy! Wish I lived closer to you girls! I’d love to meet you! 🙂 Thanks for the comment on my blog! I worked so hard on the HTML! This site has been SOO helpful with me learning the HTML codes..http://tips-for-new-bloggers.blogspot.com/2007/02/three-columns-blogger-template.htmlEmail me if you have any questions! looks delicious! i wish the cucumbers in my garden actually came up this year 😦 frost damage…and too lazy to reseed. A month ago, Jamie and I actually made the exact same thing for a catering job. Everyone loved them. These were soooo delicious. Thanks for the recipe!